Journey into a world full of secrets and betrayal that surrounds a families' shattered past. In the next chapter, Myst's two most sinister villains are under scrutiny to piece together this new adventure. 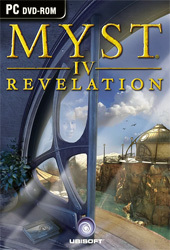 You must delve into the depths of their minds to unravel the mystery that is Myst IV: Revelation.